← Confused But Curious About CBD? 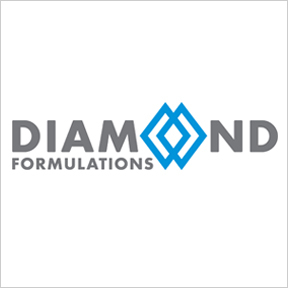 Professional Supplement Center is excited to announce the addition of Diamond Formulations, a line of unique cutting edge nutraceuticals. Backed by scientific research, these specialized nutritional supplements are formulated to therapeutically support specific wellness concerns, including disrupted sleep, minor pain management and symptoms of daily stress. Products are manufactured to meet or exceed industry standards in a temperature and humidity controlled state-of-the-art cGMP certified FDA compliant facility. Adherence to cGMP standards guarantees the highest compliance for manufacturing and label accuracy, and certifies the efficacy, identity and strength of all products. To ensure the safety, purity, composition and stability of the formulations, as well as confirm the absence of heavy metals, microbials, molds and other contaminants, all components and finished products undergo rigorous testing by a qualified in-house analytical and microbiological scientific team. Utilizing the latest advances in nutrition and biochemistry, Diamond Formulations offers optimally dosed effective products, thereby supporting reliable and predictable outcomes for improved and continuous wellbeing. Advanced Pain Formula: Advanced Pain Formula is designed with specific ingredients that help relieve symptoms of minor aches and pains and encourage a normal stress and inflammatory response. Magnesium, MSM, turmeric and hyaluronic acid support overall joint health and function, as well as promote muscle relaxation and restful sleep. Free of wheat, yeast, soy, gluten, animal or dairy products, fish, shellfish, peanuts, tree nuts, eggs, and artificial colors, artificial sweeteners and artificial preservatives. Non-GMO kosher formulation. Sleep Balance: Formulated to promote and maintain normal healthy restorative sleep, Sleep Balance provides calming support for the central nervous system. Specific ingredients encourage natural restful sleep and discourage sleep disruption. Free of wheat, yeast, soy, gluten, animal or dairy products, fish, shellfish, peanuts, tree nuts, eggs, and artificial colors, artificial sweeteners and artificial preservatives. Non-GMO kosher formulation. Stress Suppress: Stress Suppress provides specific ingredients known to support healthy levels of calming neurotransmitters that enhance the body’s ability to cope with stress, elevate mood and support relaxation. Stress Suppress aids the body in returning to homeostasis by encouraging balanced stress and inflammatory responses, providing nutrients to improve symptoms of stress and supporting a general sense of wellbeing. Free of wheat, yeast, soy, gluten, animal or dairy products, fish, shellfish, peanuts, tree nuts, eggs, and artificial colors, artificial sweeteners and artificial preservatives. Non-GMO kosher formulation. This entry was posted in Home and tagged Advanced Pain Formula, Diamond Formulations, Professional Supplement Center, Sleep Balance, Stress Suppress, Vitamins and supplements, www.professionalsupplementcenter.com. Bookmark the permalink.